I mean you never know until you try it, but this is definitely dope how art and life meet up here. 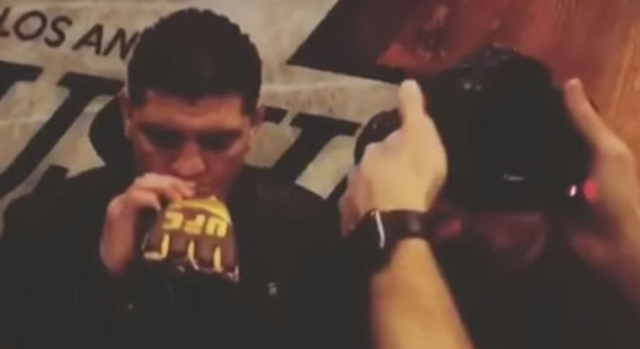 The Diaz brothers (Nick and Nate) love the ganja, so what did you expect when they were both presented with a $2,000 blunt custom-made to look like a pair of golden UFC gloves? They approached the Gold Gloves blunt like they do most opponents, with a fierce will to win.